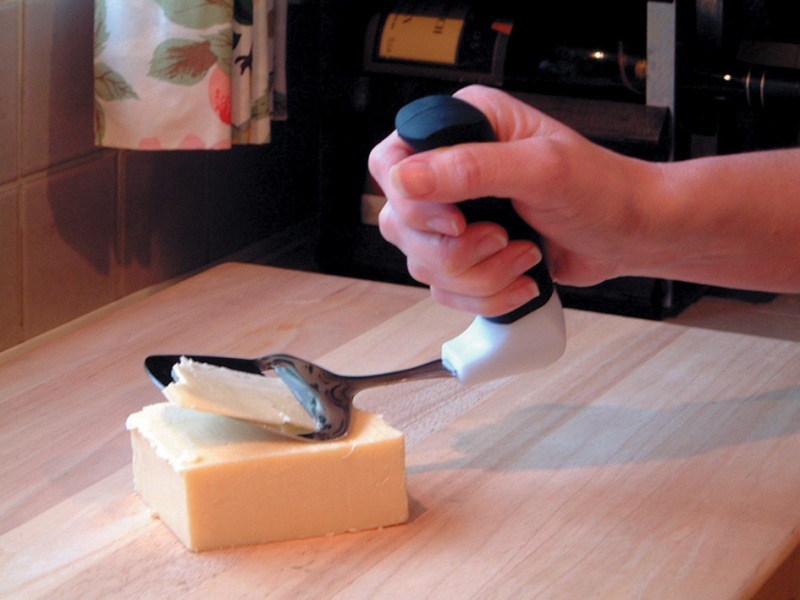 This cheese slicer with bent handle is designed for people who have less power in their hands and / or joint pains in the wrist. Due to the angled handle minimal effort is needed relieving the hand, wrist and arm. The special handle ensures a natural (anatomical) and relaxed posture. Since the cutting force of the arm is moved to the central part of the cutting blade minimal effort is required for cutting. This way the slicer prevents the need to exert great effort and force thereby preventing pains and inflammations. This slicer is often prescribed for rehabilitation of people with poor hand function. The knife cheese slicer is made of high quality stainless steel. The handles are made of durable polypropylene.